I’ve been testing WCM prerendering a bit, and being able to build initiating the prerendering process into a fully fledged test runner is invaluable. 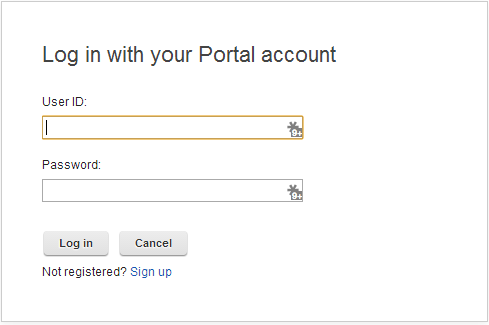 To do it manually, you’d log into Portal and then hit a special URL to start the process. This technique can be used for all sort of other automation obviously, not just prerendering (for instance warming up the Portal caches by hitting all of the pages). 1. Fire up Chrome, press ctrl + shift + J to kick it into developer mode. 3. Go to the Network tab in developer mode and clear out any old captured requests. 4. Fill in the username and password and click the login button. 7. Make a note of the Request URL and the parameters (wps.portlets.userid, password , + ns(dynamic stuff)_login) in the form data. 8. Then insert the parameters you’ve just found out into either this wget or curl command, depending on which one you like better. I’ve externalized them a bit to try to make it a bit clearer, just replace them with the values you got in step 7. I’m using localhost because I’m kicking off the process on the Portal Server itself. 9. Check cookies.txt to make sure there is something in there (a saved cookie). If it’s empty, open login.html in a browser to see what went wrong. 10. Once that is working you can hit the url that you want to use, while referencing the saved cookie file. I’ll use the prerendering url I talked about in the introduction. This should work for most releases of Portal – I’ve done it on 7.0 and it’s worked fine. This entry was posted in howto, script and tagged bash, WebSphere Portal. Bookmark the permalink. Are you trying to log in to kick off WCM prerendering? We might be able to find a better way to do that. We have a big website which takes almost 2 hours to be totally prerenderd. We do that once a day. Beside that we want to prerender 2 small site areas every hour, with wget or any other method. Do you have any advice please?